RUSH: This is Bruce in Muskegon, Michigan. Bruce, I’m glad you waited. You’re up next. What’s the big point here? CALLER: Thank you, Rush. I agree with everything you’re saying and I agree with all of what the president is attempting to say, but it’s not getting through to the American people. 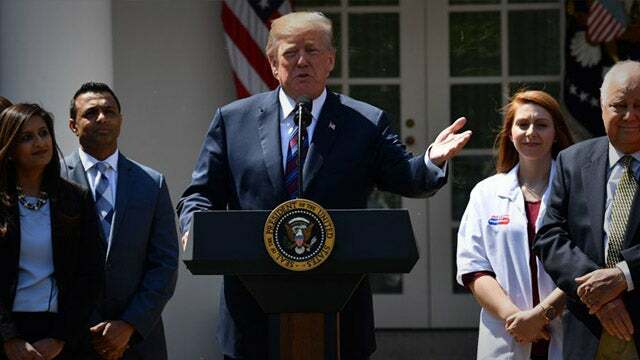 He needs to go on TV, like this afternoon, he’s speaking in the Rose Garden, and tell ’em all about his accomplishments. Well, who’s gonna report that? Fox, and only for about 15 minutes. Other networks aren’t gonna report that. He needs to face the American people on a prime time half hour show, you know, 9 o’clock at night and just lay out a litany of all of his accomplishments, the tax cuts, the elimination of ISIS. RUSH: Right. Look, I understand because the Drive-Bys are not gonna do this. You mentioned Obama, four years to defeat ISIS and yet the media was reporting every day how he was defeating ISIS when he wasn’t doing anything. And the reason that Bruce is calling here is that one of the themes early on in the program if you’re just joining us, is the appearance of two Americas every day. We do a side-by-side comparison. Over here is the America that’s working, the people that live there, they get up, they go about their lives, they do their jobs, they take care of their business, they do whatever they do. America is working. And in that America, Donald Trump gets up, goes to work every day and is implementing his agenda. Every day there’s a new element of the Trump agenda that’s achieved or accomplished, large and small, could be deregulation a couple of days, could be major military achievements here, could be any number of things not reported on. Over here on the other side is the America presented by the American media, which is nothing but a daily dose of never ending apocalyptic news, particularly the end of us. The news media today is devoted to reporting stories that make it look like everything you and I believe in has already been rejected by the American people because Trump is being rejected. We had all of our eggs in the Trump basket and Trump’s blown it. Trump’s an embarrassment. Trump’s a disgrace. Trump’s this, Trump’s that, Trump’s gonna be impeached, Democrats are gonna win in November, it’s over, it’s a blue wave. Every news story, every panel discussion on cable TV is devoted to that premise. So you have two great conflicts each day that you can expose yourself to, the reality of your life in this country, getting up and going to work every day and everybody in it doing everything they do that makes America America. And over here the media and the daily attempt to convince everybody that what you believe is about to get squished, is being squished. And so Bruce heard that, his original message on the call screen monitor said: “You need to call Trump and you need to tell him he needs to tell that story. He needs to go on TV every day and tell the story that you just laid out.” And the reason I wanted to take the call is ’cause Trump is doing it. And we’re gonna have some audio sound bites coming up from it shortly. He had a little session in the Rose Garden. Now, the idea of a Trump prime time address, the networks are gonna not give him a prime time address. Not like they would Obama. Everybody thinks presidents can ask for 30 minutes of national TV time and automatically be granted it. Not so. There were many times George Bush asked and was turned down. The networks judged that his message was not sufficiently encompassing or apolitical enough to warrant them giving him the time. Whenever Obama wanted it he pretty much got it. But one thing Trump can do is reignite his campaign rally. Those do tend to get televised by cable news, but they’re not gonna have the reach that a prime time address would have because the broadcast networks would cover those. But it remains an ongoing challenge, how to get the truth out over the cacophony and the noise of the Drive-By Media. But I wanted to take the call because it’s interesting he suggested that Trump should be doing that. He wanted me to call Trump and tell Trump to do it. Well, I didn’t have to call Trump. He’s doing it. We’ve been basically on this message for the whole week. You have to hear this. I want you to keep in mind this is exactly what I’m talking about. Over here on one side you’ve got America getting up, going to work, doing what they do. It results in America being exceptional, it results in America working, being what America is. Over here you have the American left and their media and their convoluted, cockeyed, pessimistic, apocalyptic view of everything. THE PRESIDENT: I want to thank all of the American workers in the audience. We have a lot of them who have traveled here from all over the country. They wanted to be with us. This event is dedicated to you, the hardworking Americans who make our nation run. You love your country. You provide for your family. You’re proud of everything you’ve done. You’ve got that great extra strength that other people don’t have, and you cherish a wonderful thing called our great American flag. 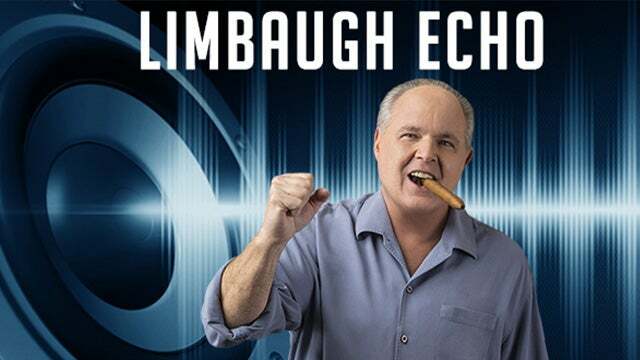 RUSH: The next bite he makes the point that caller made yesterday, that Trump needs to tell everybody that these attacks are really on you and not just him. THE PRESIDENT: The fact is, we don’t care about the donors and the special interests. We only care about you and your family — and, really, making America great again. That’s what we care about. That’s why we’re here. THE PRESIDENT: — and people don’t like it. RUSH: There you have it. So just a couple of bites from the tribute to the people who make the country run.